Our supplier is a producer of vegetables in Central America, who for 30 years using modern techniques of cultivation, irrigation and pest control. One of the basic procedures for the cultivation of vegetables is a study of water used for irrigation, which is subjected to microbiological testing by the Food Quality Inspections. 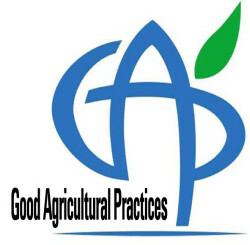 In agricultural practice implements and uses the methods recommended by the GAP program regulated by the Organization of the United Nations Food and Agriculture. GAP procedures allow to improve the process of production vegetables using all available means. In this way minimizes the risk of physical, chemical and microbiological contamination of vegetables. Our supplier has a HACCP certification which aims to identify ways of eliminating or reducing hazards and determine corrective action in the production process. The HACCP system gives us the confidence that the manufacturer has done everything for product safety and consumer regard to the provisions of good manufacturing practices and customer needs. The use of this system is required by European Union legislation on production and food processing. 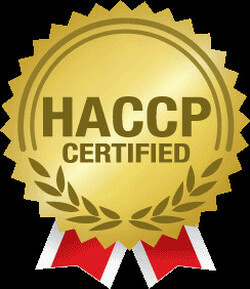 The legal basis for the introduction of the HACCP system is to Directive No. 93/43/EEC of 14 June 1993 on the hygiene of foodstuffs. It defines the approach to food quality and safety for all parties involved in food production. According to Article 3, as the hazard analysis and identify preventive measures and to introduce a system based on HACCP principles are responsible producers, processors and distributors of food products.